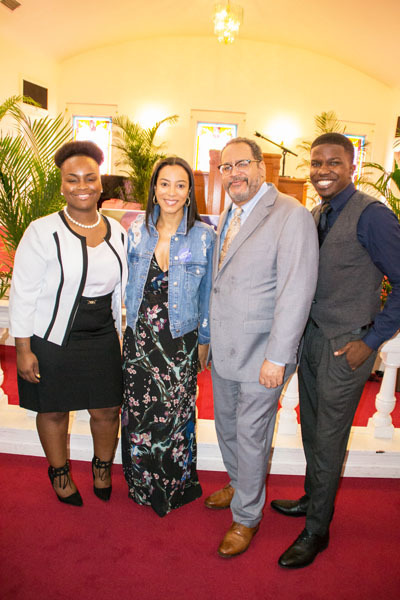 Just days before the critical August Florida Primaries, The Student Government Association of Edward Waters College (EWC) in collaboration with the Gillum for Governor campaign hosted a “Be The Vote” rally. 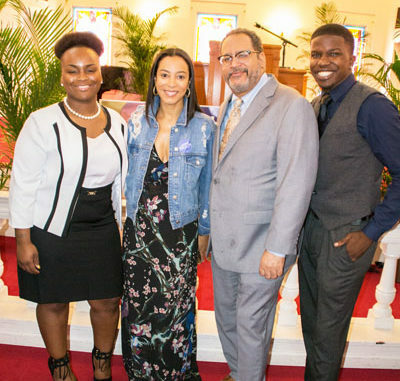 The event featured famed CNN national political strategist and commentator, Angela Rye, who acted as a surrogate for Andrew Gillum. The candidate and Mayor of Tallahassee has billed himself as the progressive candidate in the Democratic primary. Rye is one of the nations leading voices on the intersection of politics, race and equality in America. Joining Rye at the podium was Professor Michael Eric Dyson, who is also an author, preacher and talk show host. The free event was held on the campus of EWC in its Milne Auditorium and hundreds of students and local residents attended. Rye and Dyson stressed the importance of voting and discussed the 15th Amendment to the Constitution that states “the right to vote is not to be denied or abridged on account of race, color, or previous condition of servitude.” Shown pictured (l-r): SGA President, Brandi Jean-Baptiste, National Political Commentator, Angela Rye, National Political Commentator, Dr. Michael Eric Dyson and SGA Vice President, Joshua Young.